What makes exceptional organizations exceptional? One of the key ingredients is a constructive partnership between the board chair and the chief executive. 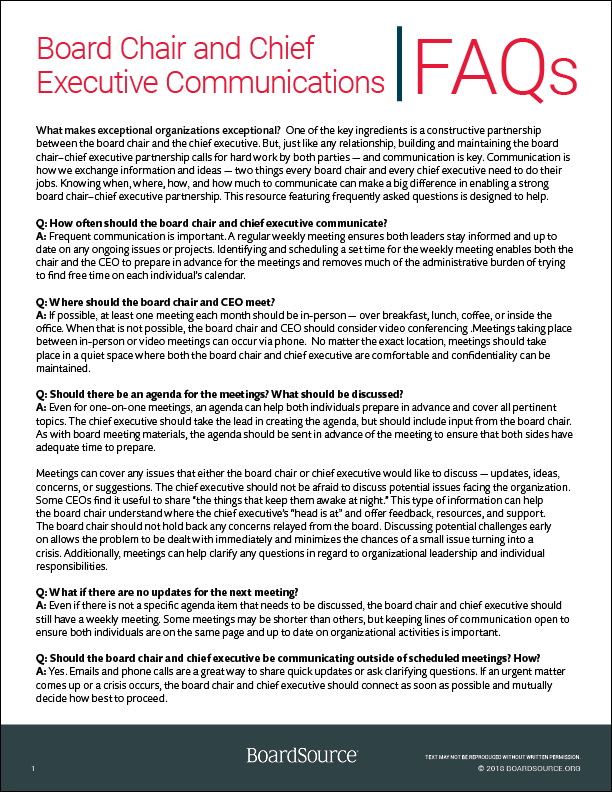 This resource featuring frequently asked questions about board chair-CEO communications is designed to help.